Are you a pack rat or a thrower outer? The two terms, though they are as undignified as they come, must certainly be indicative of two basic personality types. Willing to let go of the past? Not so much? During a recent slow summer day that demanded more mobility than creativity, I was moved to clean out my office bookcase. Now, even though I’ll admit I err more on the side of pack rat (who knows, we might need to know who purchased what in 2012! ), I kept stopping the piling up of papers, categorizing, shredding, sorting to do some actual, well, thinking. And I have to say, the concept of stopping, even for a day, to look over past records might just be worth the time. You don’t necessarily need to physically move notebooks, papers and 3-ring binders. 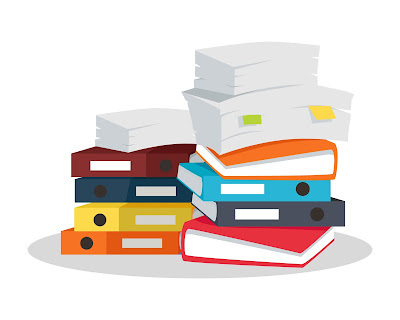 In fact, most of you probably maintain your records electronically. But you still can accomplish the same stroll down memory lane. And it’s amazing what you can learn from the past! In fact, I guarantee, if you commit to an office “clean up” going back at least five years, that you will end the process with at least one great, new idea. What sector or customer category seems to pop up the most? Which jobs brought you the most satisfaction and/or revenue? Was there an advertising program that you tried? What worked and what didn’t? Is there any follow-up needed in order to insure the best results possible? Where might you find some repeat business? Did any customers present specific challenges that you couldn’t solve then, but are able to now? Sure, the past is the past, and storage space, whether it is bookshelf or hard drive, is at a premium. But utilize the time spent cleaning to analyze, learn and increase or improve your business. I’m going to go out on a limb here, and assume that every embroidery company who can hear my voice maintains an active database. It should be electronic. It should be backed up. And it should not consist of random index cards stuffed inside a shoe box! Your database is very possibly your business’s greatest asset. You have spent (presumably) years and years to create a master list of those customers who keep your machines running and support your multiple trips to the bank. You should be able to reach out to customers easily and quickly – but not too often! – in order to share news, offers, business updates, etc. via email. In the July 2017 issue of Advantages magazine, senior editor Sara Lavenduski writes about “How to Boost Email Open Rates.” Great advice! If you build it (the database) they may not necessarily come (unless you are clever in your presentation of the information you are trying to share). Clean up your list – Your open rate will improve if you cull those email addresses that continually bounce or are out of date. Grab their attention – Your subject line is way too important to merely guess. It needs to stand out from the crowd. Do you know what A/B testing is? A great device offered by many email software companies to see which of two subject lines is going to garner the most attention. Provide quality content – Don’t waste your customer’s time – or yours – with emails that don’t carry a relevant message or offer. You don’t want to become the email that is automatically deleted, without being read! Test delivery times – You can do your own testing, but Sara’s research revealed that highest open rates are on Tuesdays and Fridays. Avoid spam filters – If you operate a website, get your customers to opt in, so there is less likelihood of your email going to spam. Also, avoid overly sales-oriented subject lines. Offering FREE anything is bound to get you thrown into the junk pile! Get mobile-optimized – Social media is here to stay. The growing percentage of those who will open your email message on their smart phones is staggering. Make certain that the email, and your website, is optimized for mobile reading. And so, don’t be surprised to hear from me on a Tuesday or a Friday! While the first is approaching Hump Day, the latter is leading right into the weekend, great days for sorting through emails. 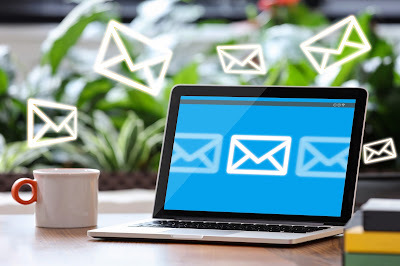 Remember to keep your database up-to-date and accurate and follow Sara’s suggestions for increasing the attention your business emails will receive. It’s all about the communication and thinking things through. How Will Fabrics Impervious to Mosquitos Hold up to Your Embroidery Needle? Why target mosquitoes? The World Health Organization (WHO) states that mosquito bites cause more deaths (725,000 per year) than any other organism on the planet, primarily due to malaria. 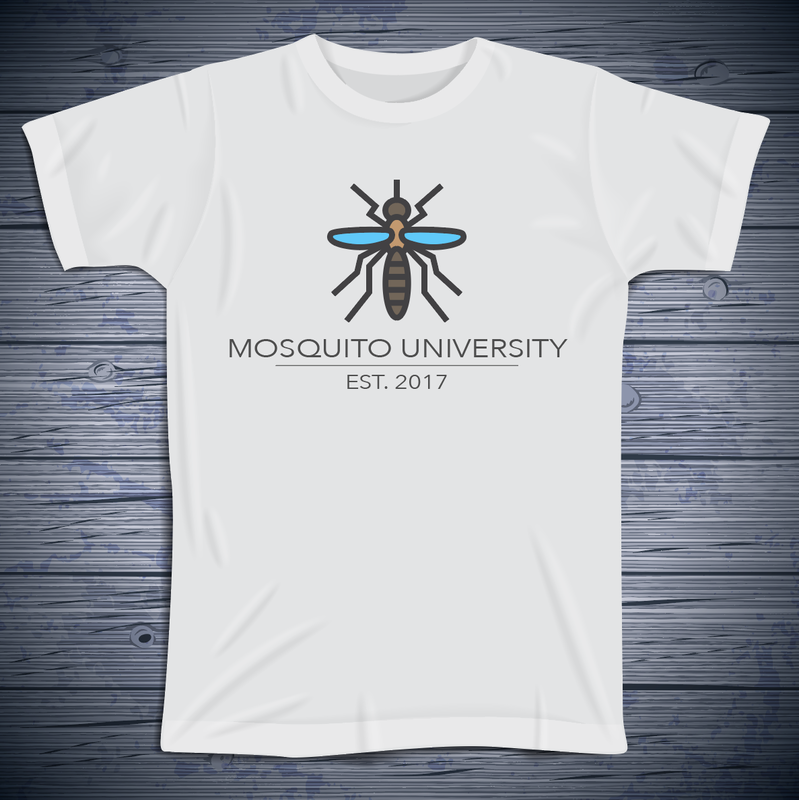 With cases of the Zika virus infiltrating the U.S. through our southern states, clothing manufacturers will hopefully pick up on this new capability, and one day you very well may be called upon to embellish a mosquito-repellant garment. In fact, a start-up company called Vector Textiles, an off-shoot of the NC State researches, funded by an online Indigogo crowd funding campaign, is about to launch a line of maternity clothing called Pro-Tex. Equally important to keeping mosquitoes at bay for pregnant women and children, is to accomplish this without the use of chemical-imbedded fabrics used for their clothing. Through their studies, “the textile and garment products have been stringently tested in NC State’s entomology labs and proven better than 98% effective under extreme worst-case scenario mosquito exposure.” Three methods of bite-resistance are being tested, using knits, wovens and non-wovens: in Strategy A, the pores of the fabric are so small that the proboscis of the mosquito cannot penetrate; in Strategy B, a tortuous path through the fibers causes the proboscis to fail to penetrate; and in Strategy C, a spacer fabric is of a thickness that prevents the proboscis from reaching the skin. High up on the researcher’s list of “musts” is the ability to design fabrics that are porous enough to allow air circulation and moisture management. Perhaps the difficulties once brought by athleisure to the embroidery market will soon be surpassed by the need to embellish on mosquito-repellent garments. The longer daylight hours of summer can be harsh on embroidery that's exposed - unless you're running Madeira's Frosted Matt! If you didn't already know about our Frosted Matt 40 weight thread, it's the only truly matte finish polyester embroidery thread on the market. It contains a ceramic ingredient that provides extreme color fastness, making it extremely resistant to fading from sunlight. It is also Oeko-Tex® certified. So go ahead and try it out on items such as umbrellas, outdoor furniture, and nautical! Its matte finish gives embroidery enhanced clarity, making it great for fine lettering and details, shading, and tone on tone effects. Being a polyester thread, it can withstand commercial laundering and is bleachable when well diluted. So, stand out from the crowd with this unique embroidery thread and to the summer sun, we say Bring It! The webinar will be held on Wednesday, March 29 at 2:30 EST. Our webinar classroom holds 500, so please click here to register soon and sign in five to 10 minutes early on the day of the webinar. You will have the opportunity to type in your questions and have them answered by these experts. As with each of our webinars, all questions will be collected, answered and emailed out to those who register. For reader/customer contact regarding the webinar, please use contactus@madeirausa.com. Editors, please note, for additional information about Madeira USA, please contact Alice Wolf, manager of education & publications, at 800 225-3001, ext. 107 or awolf@madeirausa.com. Founded in Freiburg, Germany, in 1919, Madeira is a global leader in the production of high quality embroidery threads for the decorated apparel and home fashion markets. The Madeira product line includes the industry’s largest selection of specialty threads, E-Zee Backing & Topping™ products, plus a complete line of bobbins and accessories. Today, Madeira services its clients from operations in the USA, Europe, Africa, and key Asian markets. Madeira USA ships from 14 Customer Service Centers in the U.S., more locations than any other embroidery supplier nationwide. For more information, visit www.madeirausa.com.